Elliot Hopes, a final year BA (Hons) Illustration student, specialises in miniature sculpture and recreates places and spaces he finds inspiring. 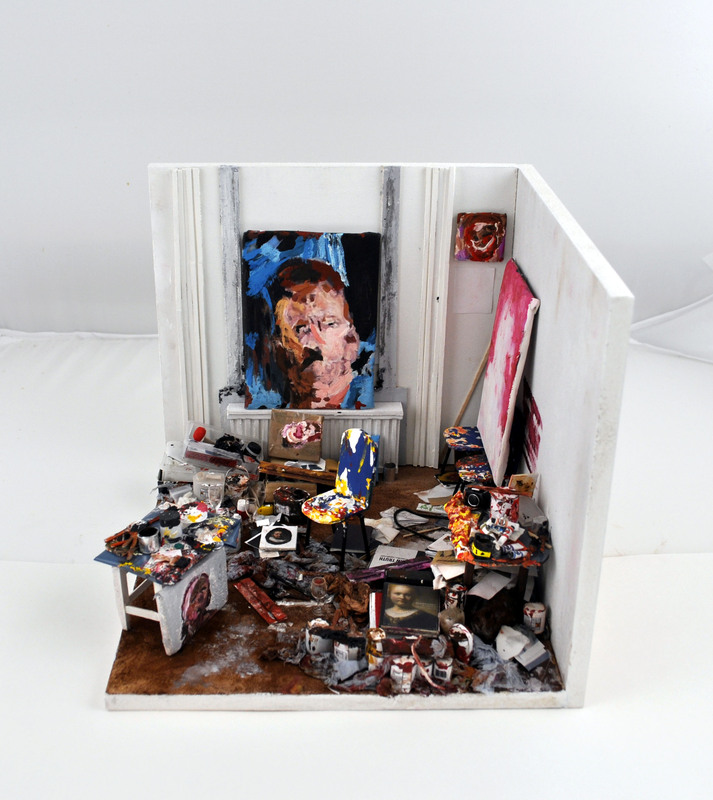 Here’s his finished miniature recreation of Antony Micallef’s studio (23cm in length, 22cm in height and 22cm in width). See more of Elliot’s work on his website elliothopes.com.